Are you thinking of opening a bar or a restaurant in Florida? Then you need to get or buy a liquor license in Florida. This is a must for any establishment that wants to serve and sell alcoholic beverages to their customers. 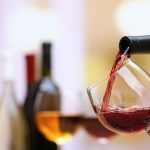 To secure the right license, there are tips on how to find a Florida liquor license for sale that the industry experts share below to help you get started right. The state legislature determines the exact number of liquor licences in Florida to be issued based on the population of every county. Any increase in population has to be verified by the United States Census Bureau. 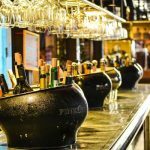 Basically, there are 3 ways of obtaining the right license for your bar in Florida. First, you can get it directly from the government. To get one of these licenses, you need to submit your application to your local ABT. It may take months for this process to complete, and can even lead to significant revenue losses. Second, you can purchase a license on the open market. Most of the liquor licenses in Florida are obtained through this method. The transfer process will only take about three weeks after the seller and the buyer have been matched. Lastly, get into the yearly lottery. Since there is a quota for liquor vendors in Florida, make sure that you are included in the yearly lottery granting liquor licenses to winning participants. The lottery is the best solution if your business location is saturated with liquor-selling businesses or if you cannot get the liquor license through the traditional way. Be ready to join the lottery before the 3rd Monday of August – this runs for 45 days. It has a fee of $100 which is non-refundable. Furthermore, there is a fee for transferring a license, which is 10% of the annual fee less the 40% surtax. There are plenty of license types to choose from. Consult the full list online or a liquor license consultant who is knowledgeable about these important pieces of information. If you get a liquor license, you also need to get the alcohol bond. The bond premiums differ depending on the license you are applying for, along with your credit score. If you need to buy a liquor license, work with reputable liquor license consultants. They can provide you with highly affordable services and expert assistance. They perform extensive research beforehand to make sure that the license you purchase is claim free. 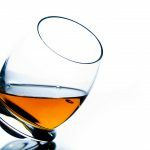 Most importantly, they have extensive knowledge about the liquor licensing rules and regulations in the state of Florida.